NBC has released the findings from its internal investigation into multiple sexual harassment accusations against Matt Lauer. In part, the report states that the very first accusation against the ousted “Today” show host came to light in November — the same month he was fired — and that no complaints about Lauer were made prior to that point. The investigation, led by Harris who reports to NBCUniversal CEO Steve Burke, examined complaints made from four women late last year about Lauer’s behavior and included interviews with 68 current and former NBCU employees. The report also spoke to the “button” in Lauer’s office, which was said to close and lock the door from the inside. NBC News and MSNBC Chairman Andy Lack sent a company-wide email Wednesday offering his thoughts on the findings. “The last few months have been extraordinarily difficult, with our dedicated journalists doing some of our best work ever while we endured a painful period in the spotlight including a thorough and deserved examination,” Lack said. The internal investigation into Lauer’s behavior began soon after he was fired on Nov. 29, 2017 for what NBCU deemed “inappropriate sexual behavior” with a young female staffer that started at the 2014 Winter Olympics in Sochi and which Lack called “appalling.” Lauer apologized at the time, but denied some of the accusations. Many interviewed expressed shock upon reading press reports regarding Lauer’s alleged behavior, including employees who spent significant amounts of time with Lauer as a result of their job duties or having known him for years. Two of the four complainants who came forward said that they believe former NBC News or Today Show leadership knew or must have known about Lauer’s alleged inappropriate sexual behavior in the workplace. The former leaders with whom we spoke denied any such knowledge, however, and we were unable to otherwise substantiate it. Most witnesses had positive things to say about Lauer’s demeanor in the workplace. Lauer also was described as a very private person who acted as a friend and professional mentor to both men and women alike over decades at the Today Show. 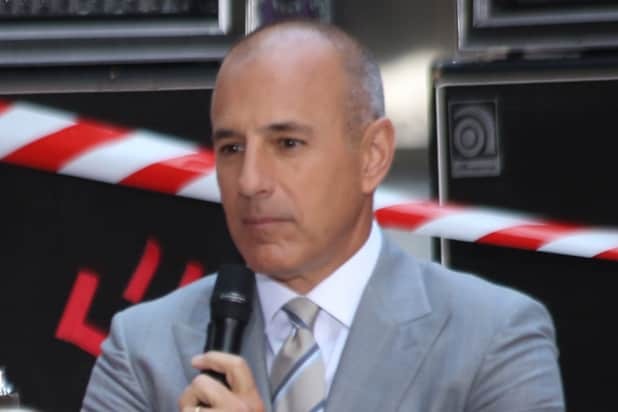 A number of individuals interviewed said that Lauer could be flirtatious, would frequently make jokes, some with sexual overtones, and would openly engage in sexually-oriented banter in the workplace. Several women also credibly described to the investigation team being the subject of what they believed was a sexual overture from Lauer in which he complimented them on their appearance in sexually suggestive ways. According to these women, Lauer did not pursue them further when they deflected or ignored the overture, and they did not experience any retaliation. All these women stated that they did not report this behavior to anyone in a position of authority. Every witness we interviewed was asked whether they had concerns about inappropriate workplace behavior by any other employees. A small number of those interviewed raised additional concerns in their interview, including about rumored extramarital affairs among employees. Most of the concerns already had been reported, investigated and addressed through disciplinary action where warranted. 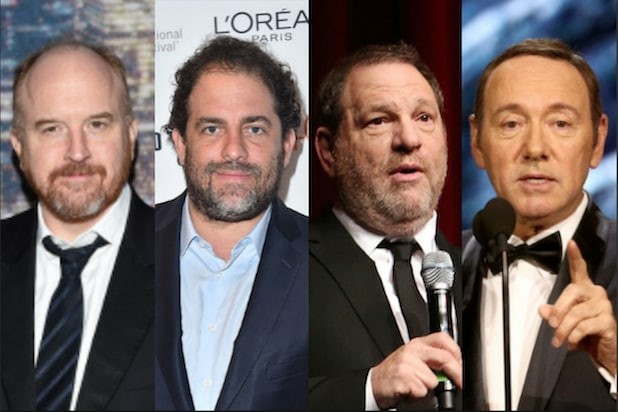 The remainder that were not previously known involved allegations of conduct less egregious than that pertaining to Lauer, and they are being investigated and addressed in a manner consistent with Company policies and procedures. Based on the nature and number of complaints reviewed, including the allegations related to Lauer’s conduct and the other workplace complaints that have been raised through existing channels, the investigation team does not believe that there is a widespread or systemic pattern of behavior that violates Company policy or a culture of harassment in the News Division. See the report in its entirety below. On November 22, 2017, a member of the Human Resources department for the News Division1 received an email from a woman stating that she had a serious concern to report. News HR immediately reported the matter to a senior employment lawyer at NBCUniversal (the “Company”), the corporate parent of the News Division. The complainant ultimately agreed to be interviewed by News HR and the same senior NBCUniversal employment lawyer on November 27, 2017. During that interview, the complainant alleged that Matt Lauer had engaged in inappropriate sexual behavior in the workplace with her on several occasions in 2014. The interview team found her detailed allegations to be credible. On November 30, 2017, Steve Burke, CEO of NBCUniversal, instructed Kim Harris, NBCUniversal General Counsel,3 to assemble and supervise a team of experienced lawyers and HR professionals from outside the News Division to investigate whether: (1) any current members of NBC News or Today Show leadership, News HR or anyone else in a position of authority in the News Division had any information about inappropriate workplace behavior by Lauer prior to November 27, 2017, and, if so, what, if anything, was done to address the behavior; (2) there have been other incidents of inappropriate workplace behavior in the News Division, and if so, whether such incidents were reported and addressed appropriately; and (3) employees in the News Division are comfortable reporting concerns about workplace behavior, and if not, why not. The ultimate goal of this investigation was to understand whether current News Division leadership addresses inappropriate workplace behavior promptly and appropriately, and to determine whether there is a need to make improvements in the News Division to create a more respectful climate and to increase the willingness of employees to report concerns. The investigation team consulted with two outside law firms about this investigation. Both firms have concluded that the investigation team took appropriate investigative steps and that the factual findings and related conclusions in this report appear to have been carefully and thoughtfully drawn from the evidence available. A summary of the fact-gathering conducted as part of the investigation, our findings and our recommendations to improve the workplace environment in the News Division follow. The investigation team interviewed 68 individuals who were identified by the investigation team as possibly having information relevant to the investigation. The current leadership of the News Division was interviewed, as well as members of the News HR and communications functions. Current and former members of the Today Show staff were also interviewed, including producers at all seniority levels, on-air talent (both anchors and certain correspondents and contributors), and employees in the booking and production groups that support that program. Former members of NBC News leadership and former News HR leaders were also contacted for information. Given the sensitive nature of the topics discussed and the desire expressed by numerous witnesses for their identity and the information they provided to remain confidential, all interview notes have been maintained in a secure location that only the investigation team can access. No one in the News Division has had access to the interview notes. The investigation team also conducted targeted email account searches and reviews, including the email accounts of Lauer and NBC News and Today Show leadership, reviewed text messages on Lauer’s work-issued phones, and reviewed other relevant documents and information. NBCUniversal Legal department records and HR records for both NBCUniversal and the News Division were reviewed, together with records from the Comcast NBCUniversal complaint helplines and web portal, to determine whether there were any prior complaints about Lauer. None were found. Overall, the availability of evidence was impacted by the passage of time. We were also unable to establish that any of those interviewed, including NBC News and Today Show leadership, News HR and others in positions of authority in the News Division, knew that Lauer had engaged in sexual activity with other employees. Every such individual credibly responded that they had no such knowledge. Most witnesses interviewed stated that they had heard or read rumors about Lauer’s personal life, including tabloid stories about the troubled state of his marriage and the possibility of extramarital affairs, but those witnesses believed, with limited exceptions, that the rumored extramarital affairs were with women outside of the Company.6 Many interviewed expressed shock upon reading press reports regarding Lauer’s alleged behavior, including employees who spent significant amounts of time with Lauer as a result of their job duties or having known him for years. Two of the four complainants who came forward said that they believe former NBC News or Today Show leadership knew or must have known about Lauer’s alleged inappropriate sexual behavior in the workplace. The former leaders with whom we spoke denied any such knowledge, however, and we were unable to otherwise substantiate it. The investigation team also inquired about the nature of the “button” in Lauer’s office that was alleged to have locked the door. According to the NBCUniversal facilities team, the button is a commonly available feature in executive offices in multiple NBCUniversal facilities to provide an efficient way to close the door without getting up from the desk. The button releases a magnet that holds the door open. It does not lock the door from the inside. The investigation team found current and former NBC News and Today Show leadership, News HR, and others interviewed who were in positions of authority in the News Division to be credible in their denials of knowledge of Lauer’s inappropriate sexual behavior in the workplace. The investigation team also found credible the complainants’ allegations about Lauer’s inappropriate sexual behavior in the workplace, as well as other witnesses’ statements about Lauer’s sexual overtures and his sexual banter in the workplace. It was troubling, therefore, that no complaints appear to have been reported about Lauer’s behavior through any channel over a long period of time. This failure to report was a key focus of our interviews, as well as the broader cultural assessment. Although the witnesses interviewed were generally aware of official Company channels to raise workplace issues, a number of them said they had concerns about reporting inappropriate workplace conduct to News HR, including: a lack of familiarity with News HR representatives; a fear of retaliation; a belief that complaints cannot or will not be kept confidential; and a lack of a private environment in which to raise issues, because News HR sits in glass-walled offices among other News Division employees. Similar concerns regarding a lack of anonymity and fears of retaliation were raised about reporting complaints directly to management. (1) Do you feel like you work in a respectful environment? (2) What obstacles do you see, to you or others, to raising a concern about harassment or other inappropriate behavior? (3) What suggestions do you have to make this a more respectful place to work? Extensive notes were taken of each session to capture the views expressed. At the end of each session, the team provided participating employees with a questionnaire designed to obtain additional information on employees’ level of comfort with reporting concerns and knowledge of how to do so. In their substantive comments, participants expressed many positive sentiments about their work environment, particularly in relation to the strong connections they feel with their colleagues and the pride in the important work they accomplish on a daily basis. While many employees expressed positive views of their managers, others pointed to a deficit in people management skills, which they felt contributed to a lack of respect in the workplace, particularly given the intense pressure of news deadlines. The results of the questionnaire showed that a significant majority of participants would feel comfortable going to News HR with a concern about inappropriate sexual behavior or other disrespectful conduct and were aware of channels other than News HR to raise any concerns. However, a substantial number of employees indicated uncertainty about whether, if raised, their concerns would be promptly and thoroughly investigated or that appropriate action would be taken. Further, during the small group sessions, employees perceived a lack of connection with News HR, an absence of transparent communication from both News HR and their managers, a sense that News HR was too closely aligned with management, and a fear of subtle retaliation, as barriers to reporting concerns. To address these issues, employees suggested ways to build greater rapport with News HR and to improve visibility into how workplace complaints are investigated. They also called for managers to create stronger lines of communication with employees. As noted above, the investigation team found credible the four complainants’ allegations that Lauer engaged in inappropriate sexual behavior in the workplace. The team also found credible the statements of NBC News and Today Show leadership, News HR and others in positions of authority in the News Division, as well as numerous other News and Today Show employees, that they did not know about his behavior. The investigation team also found that Lauer frequently engaged in sexual banter or joking in open working environments with other employees present or in a position to overhear his comments. While the nature and frequency of that conduct did not rise to the level of creating a hostile work environment, and no witnesses described it as such, it may have contributed to an atmosphere where some employees who may have had concerns assumed nothing would be done to address them, particularly given Lauer’s perceived importance to the News Division. That being said, as noted above, the investigation team does not believe that there is a current widespread or systemic pattern of behavior that violates Company policy or a current culture of harassment in the News Division, based on our interviews, the cultural assessment and our review of the nature and number of workplace complaints in the News Division. It is clear from this investigation and the cultural assessment that, although most employees understand that a number of channels exist both inside and outside of the News Division to report concerns (including anonymously), more work needs to be done to ensure that all employees have this information, feel comfortable reporting concerns and do not fear retaliation if they do. Similarly, more education is necessary to ensure employees understand how complaints are investigated and addressed, which will contribute to an environment where they feel secure in their ability to report concerns. The investigation team strongly recommends that the News Division take immediate, concrete steps to create a lasting culture that encourages a respectful work environment free of inappropriate sexual or other conduct and prompt reporting of concerns without fear of retaliation, and demonstrates that concerns raised will be addressed promptly, appropriately and effectively. We recommend a number of steps below, in addition to measures that will be taken at the NBCUniversal corporate level, to ensure that employees throughout the Company understand Company policy about workplace behavior, the existence of reporting channels, the investigative process, and the Company’s genuine commitment to prohibit and prevent retaliation. Improve Training – Although a vast majority of the News Division completed the mandatory on- line “Preventing Workplace Harassment” training when it was last offered, the investigation team recommended interactive in-person training for the entire News Division shortly after the investigation began in order to jump start a shared knowledge of behavioral expectations in the workplace and a deeper understanding of complaint reporting channels and investigation procedures. Based on the team’s recommendation, the News Division engaged Seyfarth Shaw At Work (SSAW), a corporate compliance services company that is a subsidiary business of the law firm Seyfarth Shaw LLP, to conduct in-person training for all its employees. The sessions, each attended by 20-25 employees, last two hours and are conducted by experienced facilitators. The trainers start each session by supplying attendees with an understanding of anti-harassment and retaliation law, as well as a review of the Company’s relevant policies and the various channels through which workplace concerns may be reported. The session then turns to interactive small-group discussions of scenarios customized to evoke situations that News employees may confront in their day-to-day work. The facilitator encourages constructive dialog on whether the scenarios describe problematic behavior, exploring the nuances of workplace interactions and the different perception colleagues may bring to the same set of facts. Participants leave with a set of tools and a common language that they can apply to actual workplace situations. Feedback has been overwhelmingly positive. To date, SSAW has facilitated more than 90 sessions in New York, Washington D.C. and Los Angeles, to more than 83% of the News Division employee population. The entire News Division population, approximately 2,000 employees, will have been trained by June 30, 2018. Efforts are also underway at the NBCUniversal corporate level to enhance the mandatory on-line training on preventing workplace harassment, which is offered biannually to all US-based NBCUniversal employees. The new course will be available in the summer of 2018. We will also be exploring the use of in-person training more broadly and on a more regular basis. Improve Communication from Management – It is also important that News Division leadership consistently set the tone from the top by emphasizing as often as possible the Company’s commitment to a safe and respectful workplace, a willingness to take appropriate action no matter who is involved, and no tolerance for retaliation. Since this investigation began, News Division leadership has been communicating these points regularly with employees. In addition, it is important that managers throughout the News Division are visible and vocal on these commitments as well so that employees develop confidence that they are meaningful. As appropriate, more information should be shared with complainants about how their concerns are addressed, including details on the investigation process and what disciplinary action, if any, is taken. NBCUniversal corporate soon will be issuing an updated Company-wide policy to provide greater detail on expectations regarding workplace behavior, to explain the investigations process and to ensure that all management employees understand their obligations to report concerns. Improve Use of Reporting Channels – The investigation team also strongly recommends that the News Division take action to improve employees’ comfort with reporting concerns. At the NBCUniversal corporate level we are taking two steps to assist in this endeavor Company-wide. First, we will be establishing at the NBCUniversal corporate level a Fair Employment Practices Group comprised of experienced lawyers and other professionals to provide additional resources who will be available to receive and investigate concerns from anywhere in the Company, independent of any business unit. Second, we have and will continue to increase the visibility of the existing reporting channels, including the helpline and web portal, which provide for anonymous reporting to a third party provider, through an enhanced presence on the Company intranet and more frequent signage on Company electronic billboards, among other measures. Within the News Division, steps should be taken to improve the visibility of News HR and their familiarity with the employee base. Employees need to develop confidence that News HR offers a safe space to report concerns and will act as employee advocates when necessary and appropriate. We also recommend considering whether additional independent reporting channels should be established for the News Division specifically until the level of comfort with existing internal channels improves. Of course, the investigation team will remain available to hear concerns from News Division employees at any time.